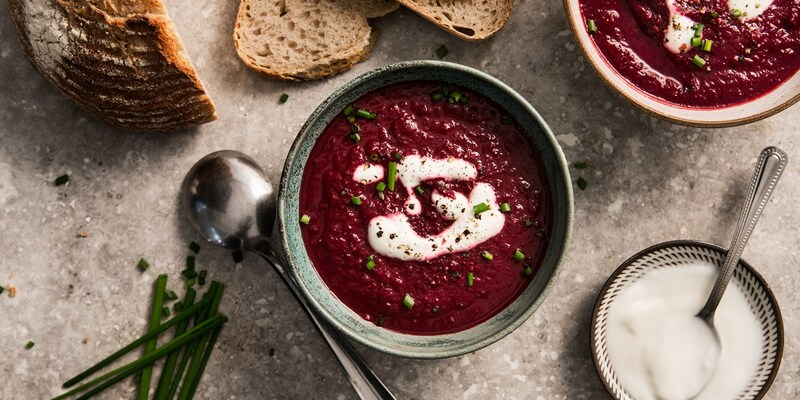 Soups are the ultimate feel-good food, and our collection of delicious vegetarian soup recipes covers everything from thick and creamy spiced lentils, to chilled, zingy gazpachos. To hold off the Winter blues, try Marcus Wareing's spiced pumpkin soup with a hint of nutmeg, or for a festive treat, there's Marcello Tully's recipe for peppery celeriac and sour blue cheese soup. Celebrate the Summer months with a chilled watercress soup with dressed Asian pear from Shaun Rankin, or a cherry tomato gazpacho from Tom Aikens.